LONDON. Airports are constantly looking at how they can manage growth and operate more efficiently. Reliable, accurate, timely and comprehensive data, handled in an efficient way, is critical to all stakeholders at an airport. 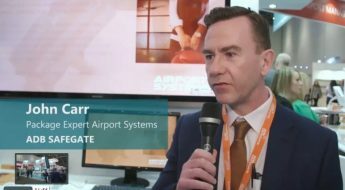 In this video interview from Passenger Terminal Expo 2019 (PTE) in London, Jeremy Gilbert, responsible for airport operational systems at ADB SAFEGATE, talks about the keystone of an airport, the Airport Operational Database (AODB). From the AODB, flight schedules are shared among all systems and users at an airport enabling all stakeholders to operate efficiently. ADB SAFEGATE’s airport operational offerings also include a resource planning or resource management system (RMS) which allows airports to plan how to handle aircraft and passengers, as well as Flight Information Display Systems (FIDS) to ensure passengers and staff have the correct information available to them. Stakeholders for RMS are the operations planning staff and on-the-day operations team within the airport. 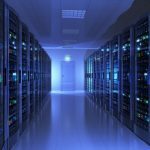 The system allows them to plan in advance of what will be happening in the coming months and weeks, as well as on the day to respond to critical issues and problems that may arise. Stakeholders for the FIDS are the passengers. The FIDS enhances their experience as they navigate through the airport, giving them real time flight, baggage and passenger information. ADB SAFEGATE Airport Systems was the first to introduce the AODB into an airport environment and is the world leader in terms of its interface capabilities and experienced staff to help an airport reach its aims. Visit the ADB SAFEGATE Product Center to find out more about Airport Systems Airport Operational Database (AS-AODB). If you are you looking for contact information for Airport Systems – click here.